London Times: The United Nations climate change conference ended in recrimination - without reaching a clear deal on emissions targets. After a stormy session in Copenhagen, in which a vociferous anti-American minority brought the talks close to collapse, most countries agreed simply to “take note” of a watered-down agreement brokered by President Barack Obama and supported by Britain. This accord — which had been drawn up in discussions with China and 30 or so other countries on Friday — sets a target of limiting global warming to a maximum of 2C above pre-industrial times. Above this temperature, scientists say, the world would start to experience dangerous changes, including floods, droughts and rising seas.Critics pointed out, however, that the agreement failed to say how this limit on rising temperatures would be achieved. 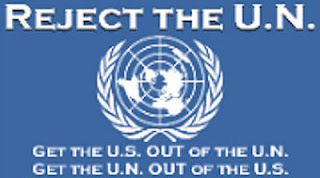 It pushed into the future decisions on core problems such as emissions cuts, and did not specify where a proposed $100 billion (£62 billion) in annual aid for developing nations would come from. . . . 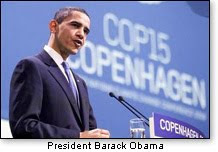 Tags: All Barack Channel, climate change, Copenhagen To share or post to your site, click on "Post Link". Please mention / link to the ARRA News Service. Thanks!